London-born Johnson began his early career as a 15 year old schoolboy for West Ham United, eventually signing his first professional contract with them to wear the Number 23 shirt although he remained in the Reserves for the beginning of the season. His first championship game came during a loan deal with Millwall when he played against Norwich City on 19 October 2002. His Premier League debut for West Ham finally came on 22 January 2003 in a defeat to Charlton Athletic when he came on as a substitute. By the time that season ended, Johnson had made 15 appearances in the league for West Ham and was beginning to make an impression. On 15 July 2003 Johnson signed with Chelsea for £6 million and debuted for them less than a month later in a win in the Champions League against Zilina. His first goal for Chelsea came when they played the second leg at home a fortnight later. Johnson made 41 appearances for Chelsea between 2003 – 2007, including an impressive save in the fifth round of the FA Cup when he stopped a free kick taken by Newcastle after their goalkeeper, Cudicini, was sent off and there were no substitutions remaining. On 31 August 2007 Johnson signed for Portsmouth, where he stayed until 2009. He started in the first match, which ended as a 3-1 loss to Arsenal, but became a regular starter after that. An impressive goal, after taking the ball from the halfway line against Wigan Athletic, followed by an FA Cup win in 2008, attracted attention and at the close of season 2009 several bids were placed for him. Portsmouth accepted two bids, from Liverpool and Chelsea, leaving Johnson to make his choice. On 26 June 2009, Johnson signed a four year contract with Liverpool. Johnson debuted for England in 2003 in a friendly against Denmark, but didn’t appear again until a 2008 victory against Andorra. At the time of writing this (May 2012), Glen Johnson has appeared for Liverpool a total of 99 times, scoring 6 goals, all of which were scored in the Premier League. 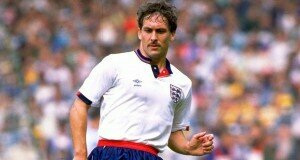 He has been capped 35 times for England and has scored 1 goal.